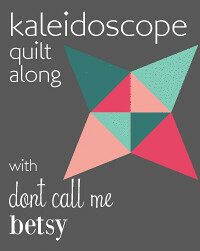 Instead of staying home and sewing, last night I met with the lovely ladies of the DC Modern Quilt Guild. It was so nice to spend the evening chatting and sewing! 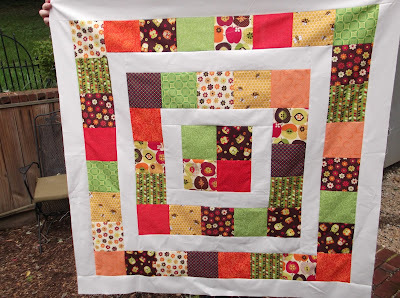 The best part is I was able to finish my top for the quilt I'm donating for 100 Quilts for Kids. 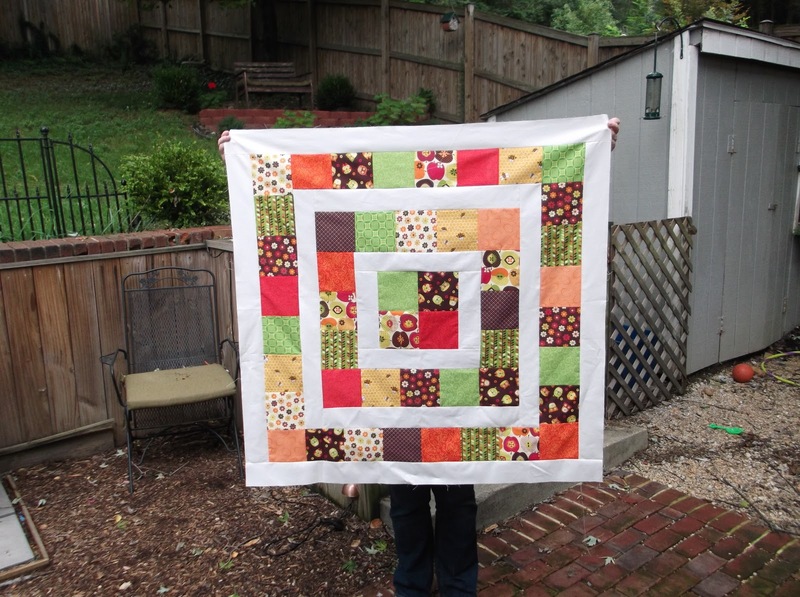 Needless to say when I pulled the fabrics for this quilt, I was definitely ready for fall! 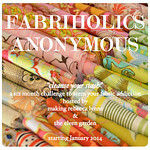 I started with the owl, apple and flower fabrics and just started pulling oranges, yellows and greens from my stash. As with all of my projects it's not perfect, but I love it! During naptime I'm going to piece the back with some leftovers from the front, and IF I have time I'll do some really simple stippling. I'm hoping to have this finished really soon. 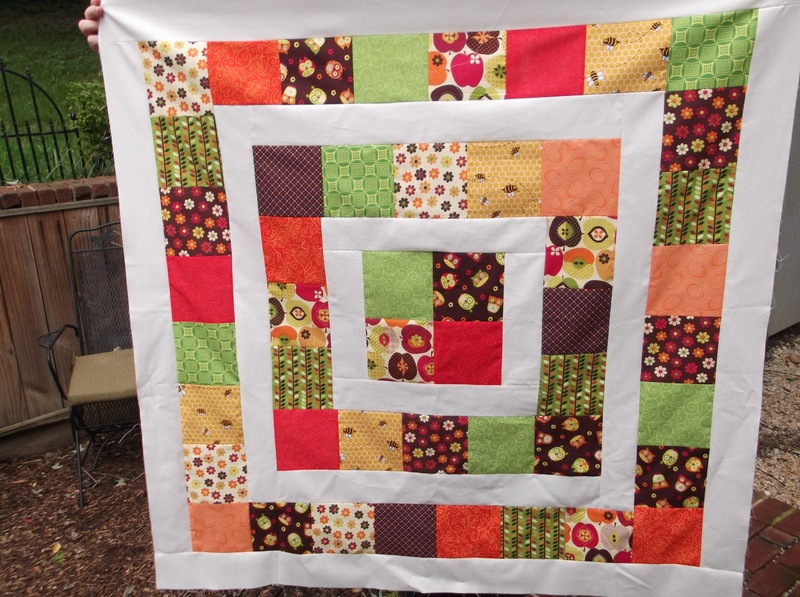 It's not too late to make a quilt to donate. If you haven't already, check out the list of prizes on Katie's blog. There are some really great sponsors this year! oh, it looks great! Isn't that a fun little pattern? I really enjoyed it. 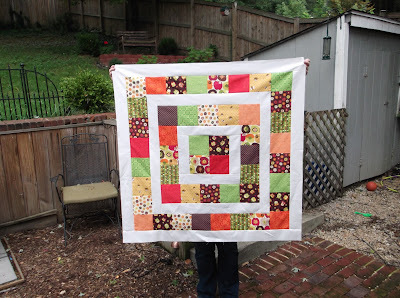 It really is such a pretty quilt! 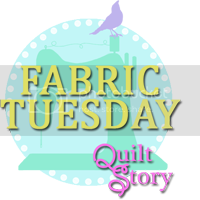 We are sewing on Tuesday in the Franconia area if you are interested... just some friends from church (doing a beginning quilting class). Come! and thanks for linking up!